At the Law Office of Sam Byrd in Chattanooga, Tennessee, we provide knowledgeable and aggressive legal representation for family law matters, criminal defense and estate planning. Attorney Sam Byrd is a second-generation lawyer, following in the footsteps of his father, Mitchell A. Byrd. Sam Byrd provides highly personalized legal representation across the full spectrum of family law issues - Including divorce, child custody, child support, modifications of existing divorce decrees and more. He also represents individuals who face criminal charges and assists with estate planning needs. Mr. Byrd served in the U.S. Marines following high school graduation. He received his introduction to law while working as a paralegal for his father's Chattanooga law firm. He earned his law degree from the University of Memphis School of Law. 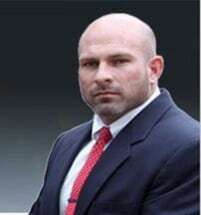 He gained additional family law experience working for the University of Memphis Child and Family Litigation Clinic, where he represented children suffering from abuse and neglect situations, and helped families with special needs children acquire appropriate education and the state benefits they deserve. Mr. Byrd takes great care to understand each client's unique needs in order to provide legal representation that is tailored to achieve those objectives. Attorney Byrd works directly with every client from the initial consultation through the resolution of the case. Our law firm places an emphasis on resolving legal matters efficiently and cost-effectively. In a family law system that is predisposed to litigate, attorney Byrd is adept at bringing both sides together to resolve matters during negotiations. This allows both parties to retain control of important decisions that will impact their post-divorce lives. Rather than follow a formula of overpromising results, as many law firms do, we accurately assess the facts of each case and provide a range of realistic outcomes. We also keep our clients fully informed throughout their case so they can be active in making strategic decisions. If need legal advice and guidance regarding personal injury, family law, criminal law problem or estate planning, take the next step. Call us. Your next step is to meet with an attorney to learn what’s at stake, learn how to protect yourself, and learn how to move forward to a place of safety.